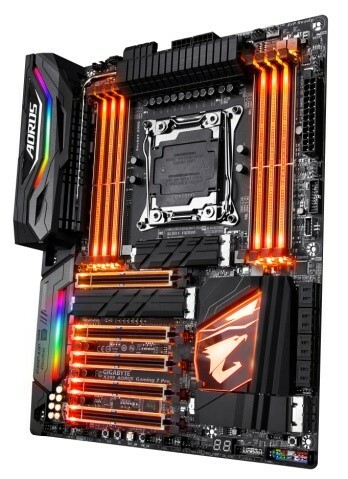 Gigabyte’s new X299 AORUS Gaming 7 Pro motherboard features an updated VRM design paired with Smart Fan 5 technology, built to satisfy high power demands. This primes the Gaming 7 Pro for use with Intel’s weighty 18-Core i9 7980XE processor, all while keeping the system sufficiently cooled. This compatibility is ensured by use of 12 power phases that each provide up to 60 amps. CPU and PWM communication has also been enhanced, as Gigabyte implements a digital Intersil PWM controller within the VRM. 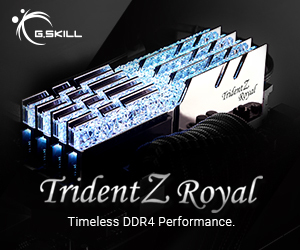 Of course, support for one of the beefiest CPUs to date would be lost without the ability to overclock, so the company has also included its Turbo B-Clock tuning IC to produce the best results. The Smart Fan 5 technology is customisable, adjusting speed to specify temperature perameteres to suit the user. “Users also have the ability to allocate and configure fan headers in tangent with the thermal sensors to regulate temperatures on critical areas,” states Gigabyte, for a more controllable PWM functionality. The X299 AORUS Gaming 7 Pro is kitted out with individually addressable RGB lighting, allowing for a great range of patterns and effects. External RGB LEDs are also supported regarding other internal components, including Digital LED, RGBW, made for more vivid colours and true whites and RGBUV, meant for darker lighting effects. Gigabyte has provided compatibility for up to three graphics cards in SLI or CrossFire configuration, alongside four Intel Optane- compatible PCIe M.2 slots protected by a Thermal Guard for SSDs. 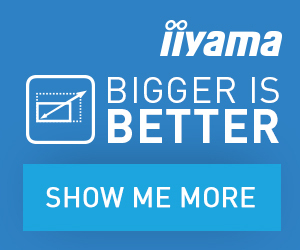 Killer and Intel GbE are also included for optimal gaming connectivity. Audiophiles and gamers that rely on sound can make use of the ESS Sabre DAC to enjoy enhanced audio. 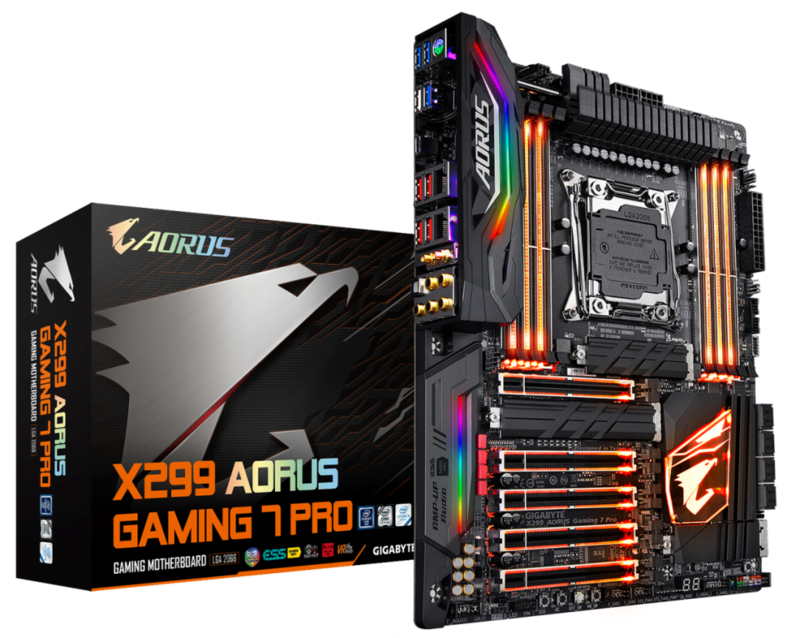 Gigabyte’s X299 AORUS Gaming 7 Pro motherboard comes bundled with its APP Center, which helps users manage all Gigabyte applications all under one roof, alongside a 14-day subscription to WTFAST GPN and a years-worth of XSplit Gamecaster + Broadcaster software for livestreaming and recording. KitGuru Says: There’s a lot of bells and whistles on the X299 AORUS Gaming 7 Pro as it’s undoubtedly meant for high-end users. I particularly like the excessive RGB lighting that covers the majority of the board. 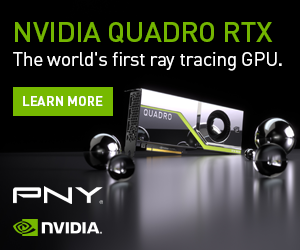 Now, if only I could afford an 18-Core i9 7980XE processor. 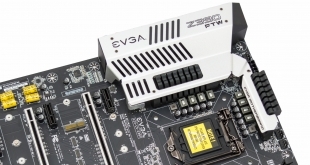 What do you think about Gigabyte’s latest motherboard?